Conor McGregor’s sports career may be described by the phrase: “Through hardship to the stars.” The first UFC champion in two weight classes could have failed to achieve success if it were not for his friends and family who supported him financially and morally. The fighter’s fans believe his stubborn Irish character contributed to his success and gave him the chance to fight non-stop. Conor says he receives a lot of money for “beating s*** out of people,” and he is good at it. Conor Anthony McGregor was born on July 14, 1988, in Dublin, Ireland. The boy showed the interest in sports early: initially, he was fond of soccer and passionately supported Manchester United. He also played in Lourdes Celtic. 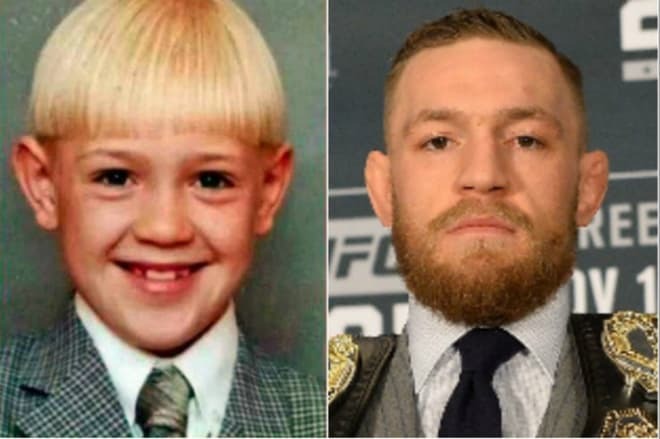 McGregor spent his childhood in Dublin. In 2006, the family moved to Lucan. As Conor emphasized in his interviews, his mother always played an important role in his career, no matter how old he was or how difficult his fights were. She talked to McGregor’s coach and asked him to persuade the young man to continue training even when it was hard for him. 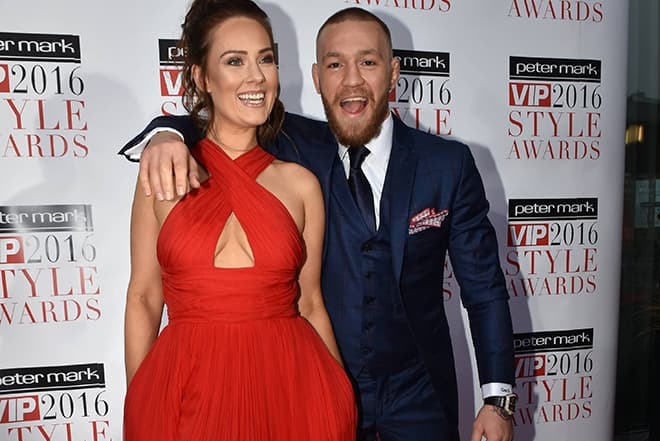 The woman often goes to Conor’s fights and supports him in everything. When McGregor did not think about the professional martial artist’s career, fighting was an integral part of his life. Conor often got into fights at school, and the parents had to talk to the school headmaster. John Kavanagh became the future champion’s first professional coach. The young sportsman trained under his guidance for some ten years. John taught his student that great people were not afraid of losing: they just stood up and went for practice. The fighter began his career in the featherweight division; at that moment, his height was 175 cm., and his weight was about 66 kg. In 2007, the first serious match took place during the Ring of Truth 6. 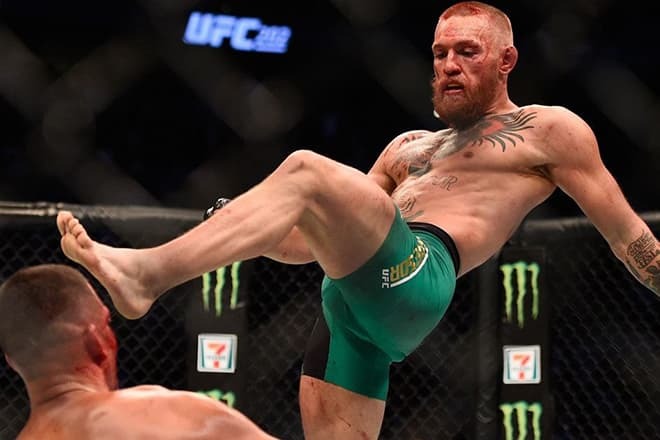 The first five minutes brought the technical knock-out of Ciaran Campbell, McGregor’s opponent; thus, Conor won the victory. The next year, he participated in Cage of Truth tournament and defeated Gary Morris. At Cage Rage, he surpassed Mo Taylor, Paddy Doherty, and Mike Wood; the two latter rivals were defeated by knock-out. The first moments of Conor’s career were marked with both victories and losses. 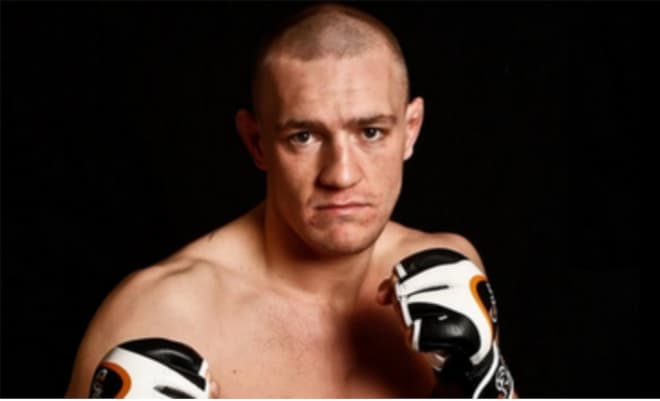 In 2008, a Lithuanian athlete Artemij Sitenkov gained the victory; in a couple of years, McGregor submitted to his compatriot Joseph Duffy. At that period, mastering techniques was not the most urgent issue for the Irish: he had financial difficulties. For a while, Conor worked as a plumber, just like his father, and decided to put away sports. Still, when he watched Ultimate Fighting Championship 2009, he continued to train hard. In 2012, McGregor transferred to the Featherweight class and became the leader of Cage Warriors. Further on, he came back to the Lightweight category and stripped the Ivan Buchinger of the champion’s title which made him the then champion in two weight classes simultaneously. 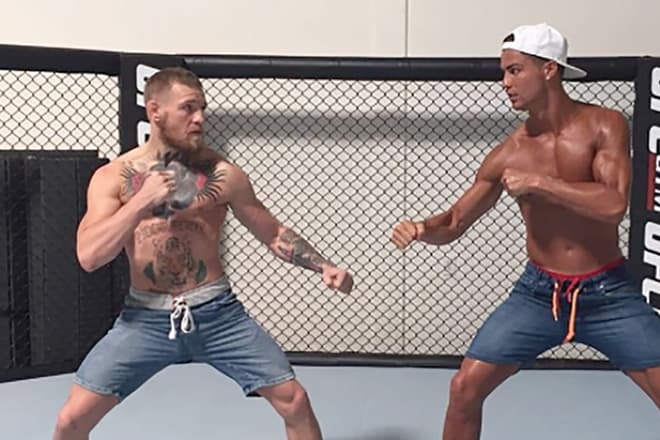 The UFC authorities were impressed with McGregor’s results and offered the sportsman a professional contract. Marcus Brimage became the fighter’s first opponent in the UF Con Fue lTV. Brimage’s attacks were active, but the Irish’s hits were technical and accurate; McGregor won. Conor defeated the next rival, Max Holloway, but had the anterior crucial ligament injury, and doctors banned him from fighting for ten months. When the athlete recovered, he performed in UFC Fight Night 46 in Dublin and knocked-out Diego Brandão. Several other victories followed. McGregor challenged the then UFC featherweight champion José Aldo. The fight was scheduled for July 2015, and McGregor kept trying to stress out Aldo. During a press conference in Dublin, he took the champion’s belt from a table. However, José had a femur fracture and could not fight McGregor. The two-time NCAA champion Chad Mendes became Conor’s opponent in that match. McGregor won and became the Interim Featherweight Champion. Aldo and McGregor met only in December 2015; it was supposed to be a breathtaking event. Nevertheless, at the 13th second, McGregor delivered a counterpunch to the opponent’s jaw and became a champion. The first UFC loss happened in February 2016: Nate Diaz proved to be stronger. In August of the same year, McGregor participated in a rematch for the UFC Champion title and crushed Diaz. The event lasted for a long time and turned out to be spectacular. In fall 2016, Conor took the UFC Lightweight Champion title: the American Eddie Alvarez who used to be the champion could not stand McGregor’s pressure. At that period, a famous Russian fighter Khabib Nurmagomedov expressed his desire to meet McGregor. Floyd Mayweather was another award-winning athlete who wanted to fight the Irish. According to media reports, the UFS President Dana White said that two titles were too much for a single athlete. He probably said that because of Aldo’s threat: the sportsman claimed he would finish his career if he had no rematch. UFS did not want to lose such a star. Soon, mass media reported McGregor gave up the title. However, Conor’s fans felt like the title was grabbed from their favorite. Conor McGregor’s personal life is the opposite of what goes on with his work: everything is calm and steady. 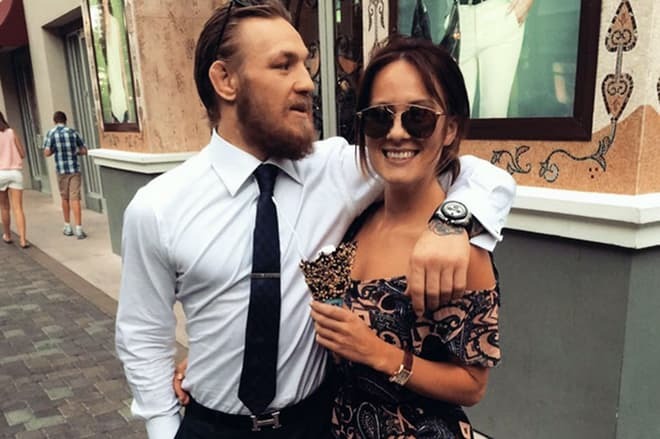 The fighter is married to the beauty Dee Devlin. Their love story began at an Irish nightclub; in 2007, the couple married. The wife never stopped believing in Conor and supported him even when he got only the allowance money, €188. In his interview to Irish Mirror, the athlete said that Dee had to work hard at that time. Thus, he is happy to compensate the woman’s distressful experience today. McGregor’s lover manages his personal income. The man jokes that Dee is always with him because she collects cheques. In addition to his fighting earnings, Conor has signed contracts with Bud Light, Reebok, and Monster Energy. He believes that everything in the world has its price and it is necessary to participate in matches today in order to chill out at a beach tomorrow. Besides, he said he wanted to be financially independent when his children would be born. In fall 2016, the media reported Dee was pregnant. The athlete was happy: family is no less important than career for him. The Irish decided to stop fighting until May 2017 because his wife was always nervous when he fought. 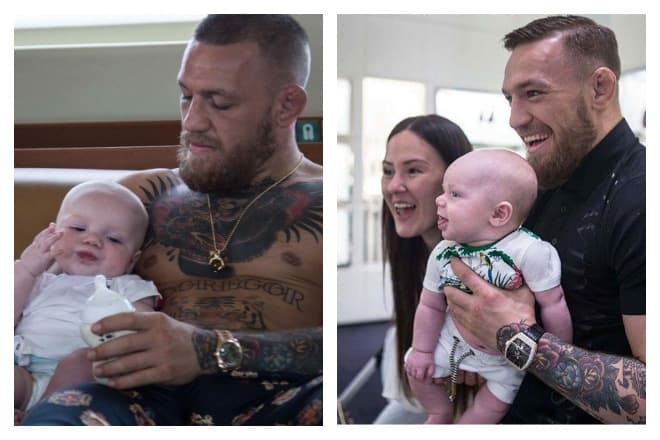 McGregor’s son was named Conor Jack. The child and the mother were present at the first match of Conor after he had qualified for boxing. 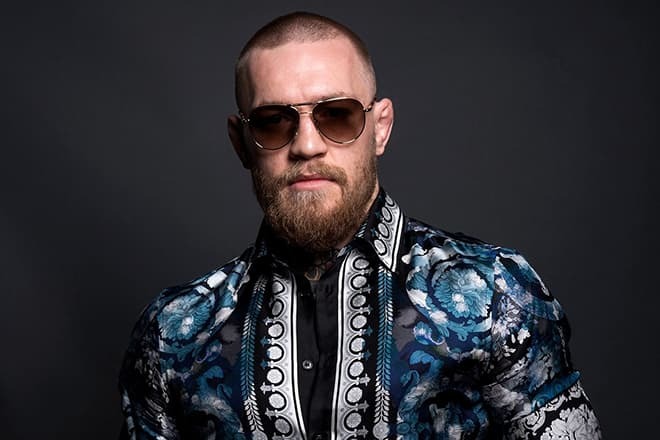 McGregor is an active Instagram user; he often posts photos where he demonstrates his new tattoos and hairstyle changes or shows off in a suit. 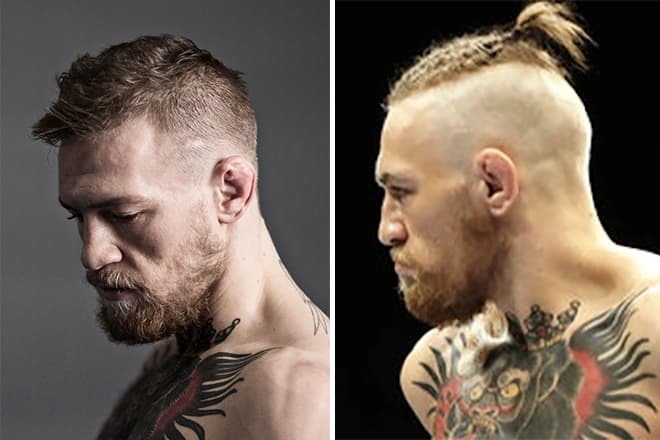 Conor usually listens to the song “The Foggy Dew” by Sinead O'Connor & The Chieftains before fighting. The Irish likes sports cars and, according to some websites, is fond of origami. In 2018, McGregor presented the Irish whiskey “Proper Twelve” produced at his family plant Erie Born Spirits. Each $5 per bottle will be donated. The sportsman said he wanted to support emergency services in the regions where his whiskey was made. The match against Mayweather scheduled for August 26, 2017, in Las Vegas became the major event of the year. Hot press-conferences with mutual insulting remarks and promises to tear each other ignited people’s interest. In his characteristic manner, the Irish promised to defeat 40-year-old Mayweather in the second round each time he was giving interviews to journalists; he did not hesitate to use pretty strong terms. However, Conor’s show talents proved to be higher than his fighting skills. In the tenth round, Mayweather knocked-out cocky McGregor and won the match of the century. Right after that, Mayweather announced he finished his career. 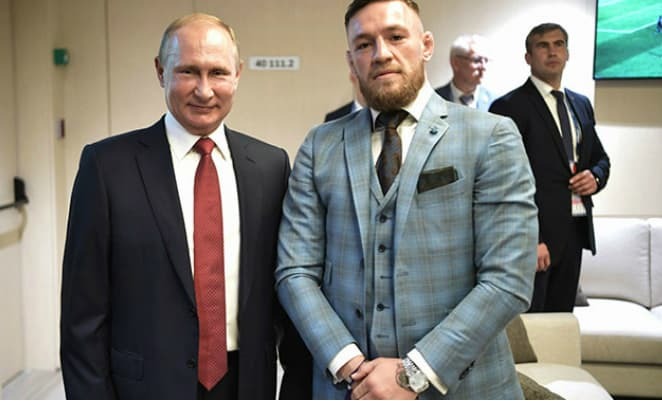 He also said he had injured his arm before meeting McGregor. Promoters adore Conor not only for his fighting methods and readiness to go all the way, bleeding, but also his pay-per-view content: the audience is always eager to pay for watching the athlete fight. McGregor is a newsmaker outside sports as well: his eloquence, fighting referees, and even conflicts with security are widely discussed. The movie about the sportsman’s life is entitled Conor McGregor: Notorious. In spring 2018, Conor provoked an outcry when he attacked a bus with UFC 223 members; Khabib Nurmagomedov and the American Ray Borg were there. While the Russian only laughed at the future rival’s trick, Borg had his eye injured. To McGregor’s credit, he turned himself to the police. Later, he was out on bail and paid a fine. The closer the day of the fight between Conor and Khabib was, the more insulting comments they made to each other. Families, other athletes, and even state bureaucrats were involved. The organizations of the pre-match press-conference did not allow fans to enter for safety reasons; both parties demonstrated their swearing skills. 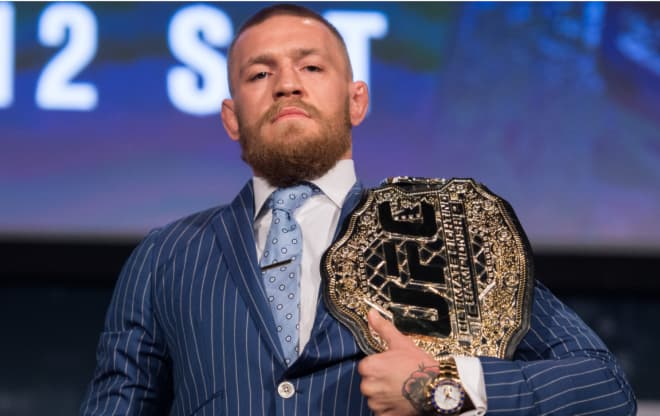 In September 2018, media started spreading the information that UFC offered McGregor the unprecedented contract: according to the agreement, the Irish fighter would have eight fights, and the event against Nurmagomedov was the first one. The financial details are kept secret. The athlete’s whiskey company sponsors all the events. 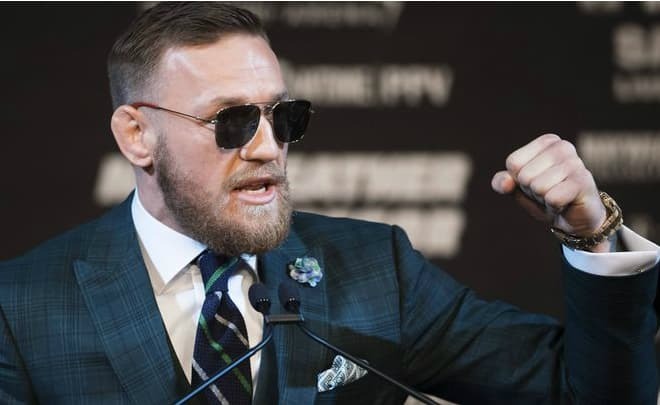 On the 12 th of March 2019 there appeared information that Conor McGregor was arrested after he had been accused in robbery and assault. According to the western mass media, he was arrested in Miami. It is said that he had done damages worth $1000. In the police report it is claimed that McGregor had seen his fan who was trying to take a photo of him and took his cell phone and he stomped on it. Later he left the scene as if nothing had happened and went home. On the 26th of March 2019 the UFC star Conor McGregor announced retirement from MMA. McGregor, the former UFC featherweight and lightweight champion, wrote on his Twitter the following news: “Hey guys quick announcement, I’ve decided to retire from the sport formally known as 'Mixed Martial Art' today." Before making this announcement, Conor appeared at Jimmy Fallon's show and said that he was able to fight again, but he didn't need to. “I am set for life, my family is set for life” he said. Conor's a net worth is $99 million.